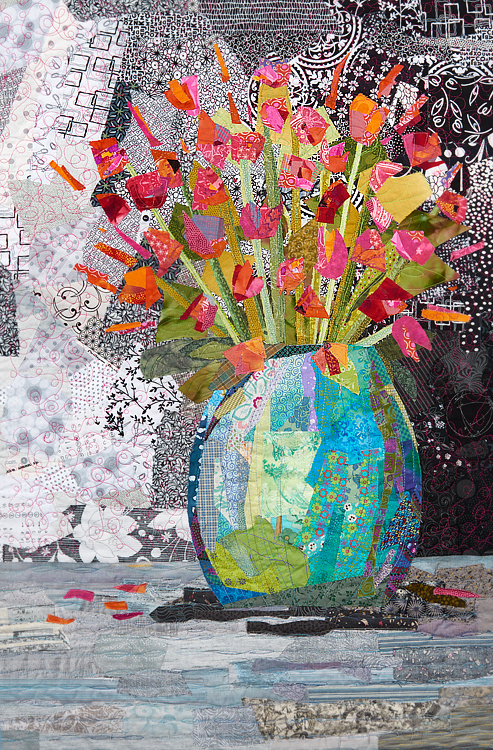 I created two quilts of flowers in vases: Tulips and Narcissus. The works vary in the type of vase: opaque vs transparent, and vary in the background technique: the tulips background is made of oddly shaped pieces, whereas the narcissus background is made of regular squares. Both were fun to make; and it was quite a departure for me to work in black in white. Tulips won second prize in the Spring 2018 Flower Power Earth Day Juried Show at Read's Art Center in Bridgeport, CT....thanks!